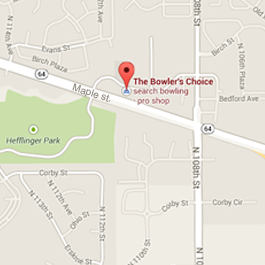 At Bowlers Choice, Rich, Doug, and Anthony strive to provide the highest quality of service at the lowest prices. They have an extensive selection of balls, bags, and shoes and offer a wide range of equipment services as well. UNBEATABLE PRICES. SHOP AND COMPARE! Find the right bowling ball four you! Choose from many brands, including 900 Global, Columbia, Ebonite, Roto Grip, Brunswick and more. If your looking for a ball that fits your game and budget, you’ll find it here! Get the traction and slide you need! We featured a large lineup of Brunswick, 3G, Dexter, Etonic, and more. With multiple styles and sizes in stock, we have the shoe to match your game! Protect your investment with durable, lasting bags. We have six ball wheel bags, four ball wheel bags, three ball wheel bags, two ball wheel bags and more. 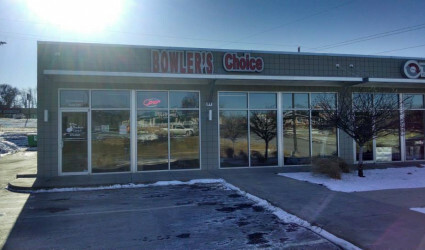 Bowlers Choice Pro Shop opened back in 1994 (right after the mullet craze ended). We moved out to Thunder Alley in Elkhorn and well… we all know how that turned out. We made the move over the summer of ’09 back to the neighborhood where it all began. Rich Abboud and Doug Laird have been friends for what seems like a lifetime, bowling partners on and off the lanes more than 17 years. Doug is a former Regional Professional Bowling Association Champion and National Touring Pro. He grew up in Grand Island and graduated from Kearney University. After moving to Omaha, he began drilling bowling balls and aspired to own his own business. Rich is a nine time PBA Champion, he toured for 5 years in the early 90’s. Rich also taught bowling camps for a year with Mike Shady (12 time PBA Champion). Rich learned on tour how to drill bowling equipment and the value of a perfect grip (you bowl that many games you don’t want to bleed too). Rich is an Omaha Bowling Hall of Fame member and he was inducted into the State Bowling Hall of Fame in the summer of 2009. Rich and Doug also co-own Thunder Bowl of Council Bluffs and annually play host to regional and National PBA players. Rich and Doug are committed to the Greater Omaha and Council Bluffs Bowling Communities. Bowling is what they do.